The job of @Controller is to create a Map of model object and find a view but @RestController simply return the object and object data is directly written into HTTP response as JSON or XML. This can also be done with traditional @Controller and use @ResponseBody annotation but since this is the default behavior of RESTful Web services, Spring introduced @RestController which combined the behavior of @Controller and @ResponseBody together. Obviously, everybody would like to declare just one annotation instead of two. Also, the @RestController is more obvious and telling than the previous two. Btw, if you are not familiar with Spring Core and Spring MVC, I suggest you to first take a look at the Spring Framework 5: Beginner to Guru course on Udemy. One of the up-to-date and comprehensive courses to learn Spring. What are @Controller and @RestController in Spring? In the Spring framework, A Controller is a class which is responsible for preparing a model Map with data to be displayed by the view as well as choosing the right view itself. It can also directly write into response stream by using @ResponseBody annotation and complete the request. The behavior of writing directly into response stream is very useful for responding calls to RESTful web services because their we just return data instead of returning a view as explained in my earlier post about how Spring MVC works internally. If you have developed RESTful Web services before Spring 4 like in Spring 3 or Spring 3.1, you would have been familiar with using a combination of @Controller and @ResponseBody to create a RESTful response. Spring guys take cognizant of these issues and created @RestController. Now, you don't need to use @Controller and @RestponseBody annotation, instead you can use @RestController to provide the same functionality. In short, it is a convenience controller which combines the behavior of @Controler and @Response body into one. If you are interested in developing RESTful web services with Spring then you can further join Eugen Paraschiv's REST with Spring Master class if you are more curious about learning the advanced techniques to develop RESTFul Web Service in Spring. One of the guided and code-focused way to learn Spring MVC. Now that, you are familiar with both of these annotations, it's a good time to analyze some factual difference between @RestController and @Controler. This is a very important concept, not just from the Interview point of view but also from Spring Core Developer Certification. If you are preparing for Spring certifications, you should familiar with such subtle differences. Additionally, you can also take a look at free Spring tests to get an idea about exam format and level of questions. Anyway, let's get back to the point, here are some important differences between these two annotations. 1. 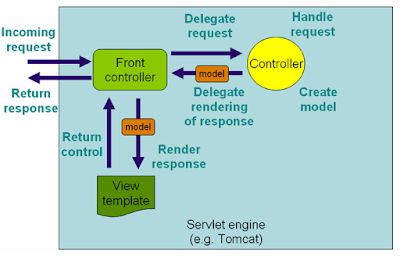 The @Controller is a common annotation which is used to mark a class as Spring MVC Controller while @RestController is a special controller used in RESTFul web services and the equivalent of @Controller + @ResponseBody. 2. The @RestController is relatively new, added only on Spring 4.0 but @Controller is an old annotation, exists since Spring started supporting annotation, officially it was added on Spring 2.5 version. 3. The @Controller annotation indicates that the class is a "Controller" like a web controller while @RestController annotation indicates that the class is a controller where @RequestMapping methods assume @ResponseBody semantics by default i.e. servicing REST API. 4. The @Controller is a specialization of @Component annotation while @RestController is a specialization of @Controller annotation. It is actually a convenience controller annotated with @Controller and @ResponseBody as shown below. 5. One of the key difference between @Controler and @RestCotroller in Spring MVC is that once you mark a class @RestController then every method is written a domain object instead of a view. 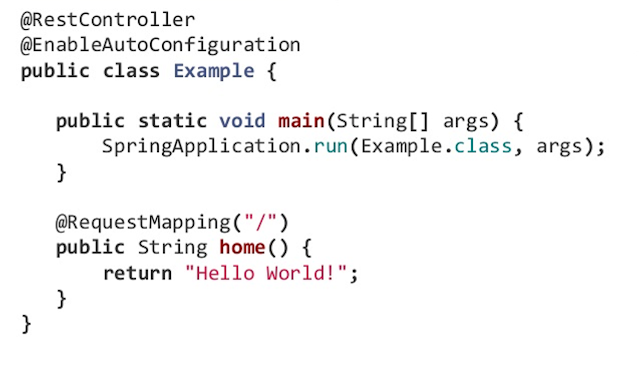 You can see Bryan Hassen's Introduction to Spring MVC 4 to learn more about how to use the @RestController annotation in your Spring-based application. You can see that if you use Spring MVC @Controller annotation to create a RESTful response you need to annotate each method with the @ResponseBody annotation, which is not required when you use @RestController. It not only makes your code more readable but also saves a couple of keystrokes for you. That's all about the difference between @Controller and @RestController annotation in Spring MVC and REST. @RestController is nothing but the shortcut to use both @Controller and @ResponseBody annotation together. 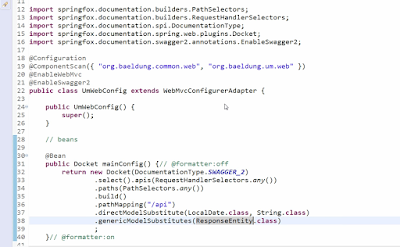 Spring purposefully added this annotation in Spring 4 to make the development of RESTful web services easier using the Spring framework. It can directly convert the response to JSON or XML depending upon MIME type of request. So, if you are creating a RESTful Web Services it's better to use @RestController than combining @Controller to @ResponseBody. Thanks for reading this article. If you like this article then please share with your friends and colleagues. If you have any questions or feedback then please drop a comment and I'll try to answer it as soon as possible. P. S. - If you want to learn more about developing RESTful Web Services using Spring and Spring Security framework, I suggest you join Eugen Paraschiv's REST with Spring Certification class. Eugen has some good real-world experience in developing and securing RESTful web services in Java and this class is a good opportunity to benefit from his immense experience.